Would you like to receive our monthly email update? Please sign-up with this form. Would you like to volunteer for our special Easter dinner? Please let us know through our online form. Angela met with Mission staff to plan the upcoming Valentine's Banquet. 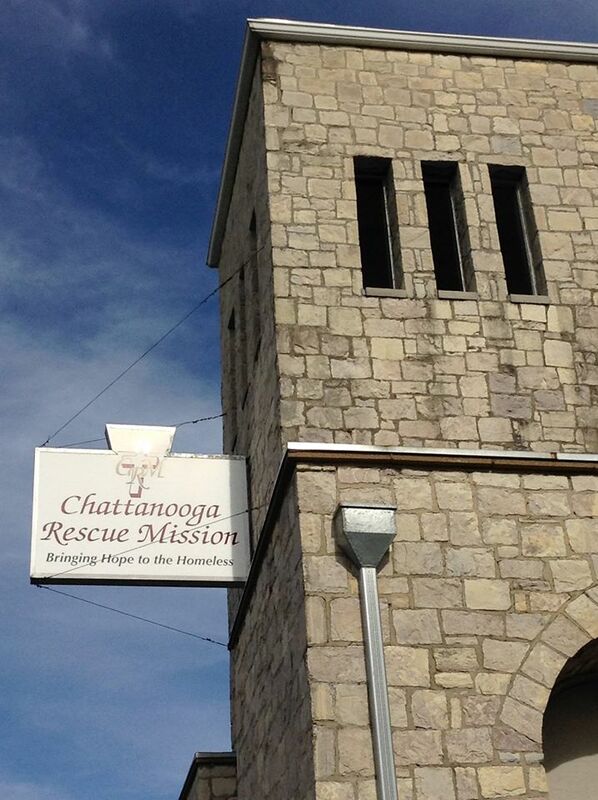 The Chattanooga Rescue Mission provided 25,037 beds in 2018. This is an increase of 2,792 beds from 2017! We would like to thank our donors and those that support the mission in so many different ways! Without your partnership, this would not have been possible. Stan was invited to speak to a class at the Girls Prep School. He shared about the mission and discussed their upcoming project at CRM. The Forsaken Motorcycle Club was back again! They handed out clothes to homeless friends on the street and then gave the remaining items they gathered to the mission. February is a month for showing love to those closest to us. The Mission would like to show God's love to the homeless of Chattanooga. On February 14 we will host our first Valentine banquet. Ben and Stan attack a sofa. You are probably thinking, "They have finally lost it over at the Mission." Ben had an old sofa that needed to be tossed in the dumpster. He decided to have a fun demolish activity with the Steps program men. The Mission staff would like to wish you and your families a blessed and prosperous New Year! Stan and family enjoyed the service at Lebanon Baptist Church in Roswell Georgia. If you live in Atlanta or are passing through, it is a great church to attend. Pastor Brian Peterson is doing a tremendous job leading the church. What is the best holiday dessert you have enjoyed this year? Please share them in the comments.